I haven't read the Ultimate Spider-Man comic lately - featuring an alternate universe where the new Spidey is Miles Morales, a young man who has taken up the slack for the late Peter Parker - but from everything I hear about the comic right now, he's a good Spider-Man. Also here is the new Scarlet Spider! Both of these guys have pretty cool suits which are great takes on the Spidey costume. 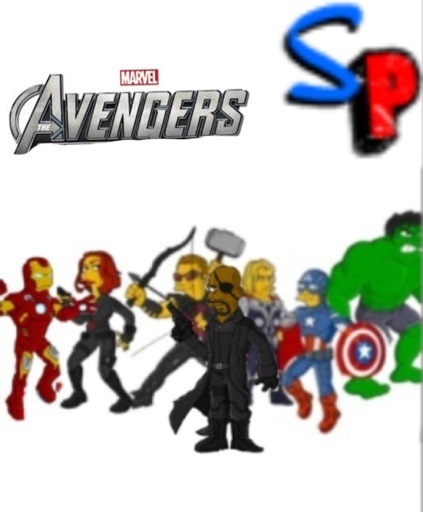 To showcase some fan art as well, here's one based on the Avengers, put together by Joseph! Cool and thx for posting the pic I made. When are you going to post your next punx? Well, I don't really have a set date at the moment. Feel free to email me if ya want.